Put your adventure skills to the test by combining abseiling and canyoning in some of the most naturally beautiful locations in Australia. 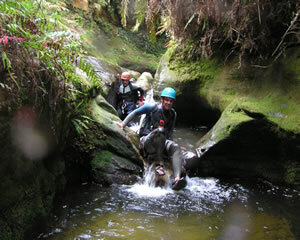 Canyoning uses abseiling skills to explore canyons and caves. It is a safe sport that can allow you to see parts of the wilderness not usually accessible. 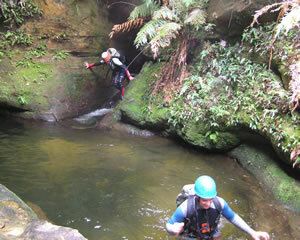 Canyoning in the Blue Mountains in Sydney, and in Katoomba and through Australia is world class. Canyoning in Melbourne, Perth, Brisbane, Adelaide and in the Northern Territory is spectacular and is an experience you'll never forget. 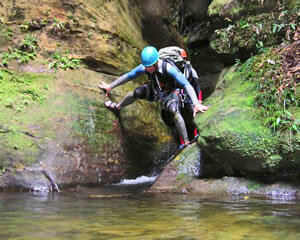 Canyoning is a great sport and you receive full training before beginning any adventure. 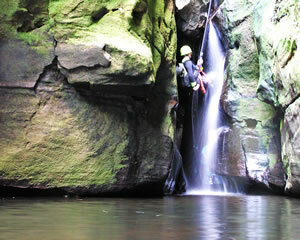 So if you like the bush and like adventure, canyoning should be on your do-to-list. 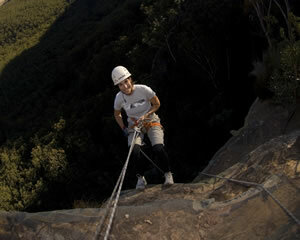 Learn to abseil in Katoomba, with fantastic views across to the world famous Three Sisters. 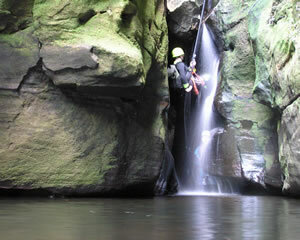 This beginners course is the ideal skills base for canyoning. 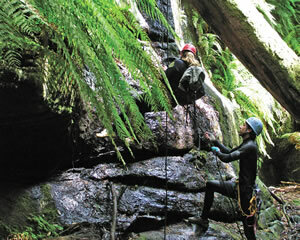 Start with abseils up to 30 metres, then put your new skills to the test in the afternoon, through a wet & wild canyon. View the Brisbane City from a new perspective...the river. 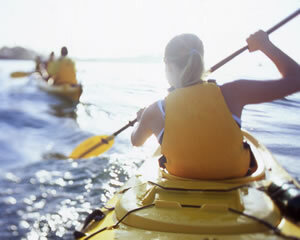 During your Brisbane River canoeing tour, you will paddle past spots that you cant even see from the ferry and enjoy Brisbane the river city from the water. 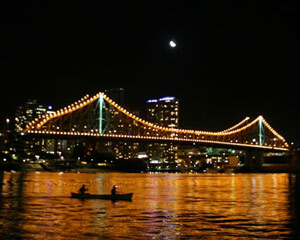 This is an easy canoe paddling trip around the Brisbane's Story Bridge and surrounds, from a unique perspective after the sun has set. 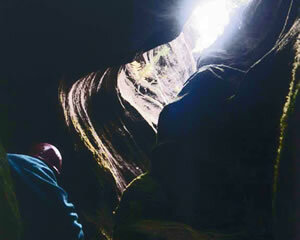 The best known canyon in the Blue Mountains, Claustral is renowned for its spectacular formations. Due to the popularity of this canyon previous abseiling experience is a requirement. The first part of this amazing day of canyoning in the Blue Mountains is designed to teach the necessary abseiling skills to tackle the beautiful Empress Falls canyon. This is an ideal introductory canyon that combines an abseiling course and canyoning trip - teaching you the necessary skills for beginners as well as being an adventure in itself. Choose your own Adventure! Descend below the earth's surface with your expert Cave Guide and explore the path of an Ancient Riverbed. On your return to the main Ngilgi Show Cave experience your very own adventure by choosing which route through the cave you take to return to your starting point. Experience everything that awe-inspiring Ngilgi Cave has to offer on The Ultimate Ngilgi Adventure. Challenge yourself and be rewarded for your adventurous spirit and that of the early pioneers as you discover the deepest, darkest and most exclusive depths and sections of Ngilgi Cave.